Identification, quantification and assessment of uncertainty are essential in the petrochemical industry. During the construction or maintenance phases of an oil transportation pipe line, there is a high degree of risk for accidents, which would be fatal to the human resources and the environment. The Society of Consulting Engineers are subject matter specialists in Iran who are required to provide risk assessment services for oil and gas field pipe line projects. The purpose of this study was to survey 30 Consulting Engineer experts for their priorities on most likely risks, which occur in oil pipelines during construction or maintenance modes. The risk categories were informed from a literature review (theory deduction). Then the Analytical Hierarchy Procedure was used to normalize the uncertainty estimates and to rank the risk occurrence likelihood. The results indicated that gas compressors, ancillary facilities, storage tanks and pumping stations, respectively, had the highest risk level according to the experts. In petrochemical operations, it is not possible to identify all possible risk and when crises occur, the damage can be extensive. Therefore, petrochemical industry managers must use techniques to identify and quantify uncertainty. Risk theory is the study of how to identify and estimate uncertainty in order to plan for reducing negative impacts from potential undesirable events (Goodwin & Strang, 2012). Risk management is the process by which the conditions of an unexpected loss are controlled. Risk management involves planning and ongoing contingency management whereby risk analysts reflectively ask ‘what if’ questions. Risk identification in petrochemical plants begins with the analyst asking the stakeholders repeated questions about what could cause a loss, how severe would it be and what may trigger such a risk event (Mirzaei, 2003). Oil and gas pipe lines generally have different risks from one project to another or in one plant to another. The operations are so complex that specific risks are difficult to identify without going through this reflective analysis with the stakeholders. Economically, risks must be managed in this sector to avoid heavy losses. More so, inadequate risk management in one company could trigger huge losses, which cause large insurance payouts and thereby increase risk premiums for all companies in the same rating zones (Karabakh, 2008). Oil and gas pipe lines systems are one of the most accident-prone areas in the petrochemical industry in terms of human resources, production facilities, and the environment. This is the reason that it is so important for petrochemical companies to conduct ongoing assessment and risk management processes, so as to identify uncertainty, estimate potential risks, and then implement strategies to prevent the occurrence of accidents (or at least to mitigate the damage should a crises event occur). Lsard and Miller (2001) asserted that it is a challenging task to identify and manage risks in large engineering projects. 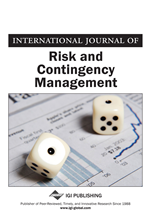 Consequently, the most common reason for disasters in the petrochemical industry are considered to be the result of companies failing to identify and assess risks (Lee, Park, & Shin, 2000). and age of the pipeline (adapted from: Miraj, Vali & Nejad, 2009).